The threat landscape is ever-changing and organisations today face an uphill battle to stay ahead of the latest malware, ransomware, trends and patterns driven by the cyber criminals. In this first episode of The Evolving Threat podcast host, Charles Commins explores the threat that lurks within an organisation, it’s cyber-security professionals. In 2018 Malwarebytes commissioned a survey called The True Cost of Cybersecurity. The results of that survey found that roughly one in every 22 cyber-security professionals are to have undertaken some activity which can be considered ‘grey hat’. It is widely acknowledged that there are two types of hackers; those who work for organisations in order to prevent cyber attacks (White Hats) and those who carry out the attacks (Black Hats). The term grey hat is used to describe those who have taken part in some form of Black Hat activity while remaining in their role as a cybersecurity professional. Joining Charles on the podcast is Helge Husemann from Malwarebytes. Helge Husemann is a Security Expert on a mission: protecting businesses from malware. Husemann. has spent the past 15 years immersed in technology and has been focusing in on the ways that malware disrupts, disables and destroys businesses. The threats that keep business owners and IT departments up at night have evolved from disruptive viruses to today’s malicious ransomware and Helge keeps pace with these new types of malware and what businesses need to do to protect themselves. His love affair with technology started as a PC gamer, before moving on to Apple and Siemens, and then honing in on the security industry working with Trend Micro and then moving to Malwarebytes over two years ago. 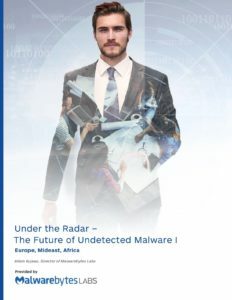 The non-stop research and access to Malwarebytes’ Threat Labs means he’s continuously plugged into the latest advances in security technology. 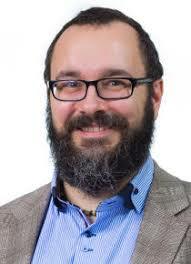 This expertise, along with a gift for storytelling and an obsession with Iron Maiden, makes it possible for him to talk with the IT Departments who are dealing with malware every day, showing sales teams how to identify pain points for businesses and sell the right solutions, and talking with C-levels in the business about the risks they face. 02:12 Helge gives his thoughts on the evolving threat landscape and the issues lurking within organisations. 02:51 Helge talks Grey Hats. 05:28 The seriousness of cyber attacks. 08:44 Bring your own security and the dangers this can bring. 16:51 The impact of behaviour based authentication on an organisation. 27:34 Helge lets us know what dangers we should be looking out for.